Pricing can attract clients to your consultancy or send them scurrying to your competitors. You need to get the pricing right for your freelance graphic design business to take off. That’s where the graphic design brief example can be of immense assistance to your consultancy. This brief document offers you more insight into each client thus making it easier for you to customize your prices or rates for each one. Continue reading to learn more about the relationship between the brief and pricing. Typically, freelancers charge a price that reflects their worth, experience, training and level of expertise. The price is also often a reflection of the complexity or simplicity of the design each client needs. Some freelancers charge rates that ignore the clients’ budgets. That approach has its fair share of risks. A better approach would be to take cognizant of the client’s budget. Otherwise, you would only succeed in sending the clients who can’t pay your rates away. A freelance client who claims he doesn’t have a budget is likely to prove problematic in future. It has probably taken you years to perfect your craft. Consequently, it’s only fair that you charge the best rates to guarantee yourself a higher chance of earning a good income from your skills and services. Therefore, learn to establish your rates. This way, you help clients to determine if they can afford to hire you early enough. Charge different rates for each service you offer such as designing, developing or consultancy. As earlier stated, the rates are not standard for all graphic design clients or projects. They change depending on various factors. At times, you may have to increase your rates. Once more, rely on the graphic design brief example to help you know if the client you’re negotiating with requires a higher or lower rate. Making this decision could affect your consultancy in the days ahead. Therefore, decide this carefully and only when you have the right information. 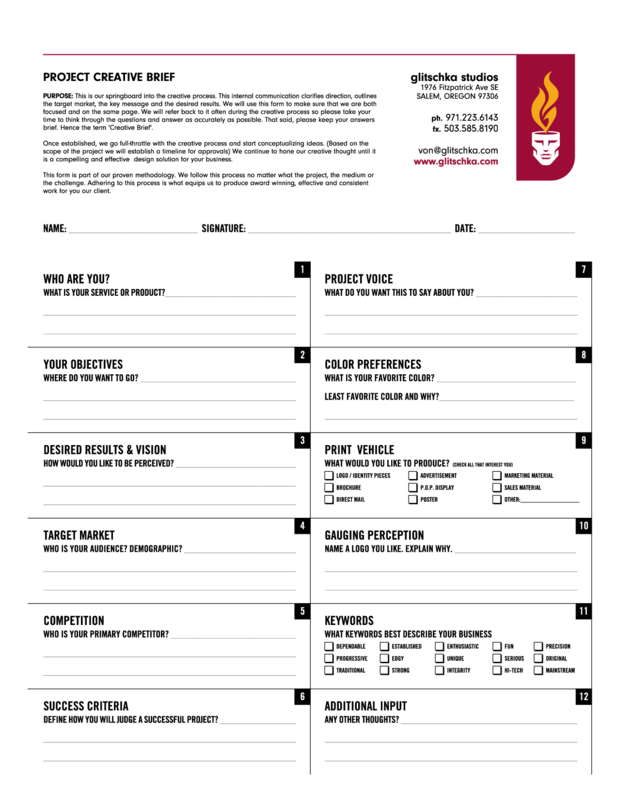 The graphic design brief example is a wonderful tool for negotiating the best deals with all your freelance clients. Therefore, make it central to all negotiations. Make it a crucial part of knowing your clients too. When negotiating, try to be as nice and calm as possible. Start high depending on how much information you have about clients and their budget. Know the lowest rate you can charge without going broke too. Should you rely on emotions when running your consultancy? You may hear different answers to this question depending on whom you ask. However, emotions should be out of the equation when talking about the rates you charge. Otherwise, you could charge a rate that leads to massive losses financially. The losses may not be limited to the financial aspects of your freelance business alone. Find ways of keeping your emotions in check. Yes, the graphic design brief example can usher you into the wonderful world of responsive pricing. Responsive pricing helps you to avoid the pitfalls of random discounting. The objective of such a strategy is to create a pricing system that responds to your current workload. For example, you could charge low rates and offer higher discounts when the workload drops a bit. This pricing model is worth introducing into your consultancy. Get more information about it. Pricing is highly effective at attracting the best clients to your freelance graphic design office. It also keeps the bad ones away from your consultancy. Therefore, take it seriously. Approach pricing with all the soberness you need. The future existence and profitability of your freelance business depend on pricing. 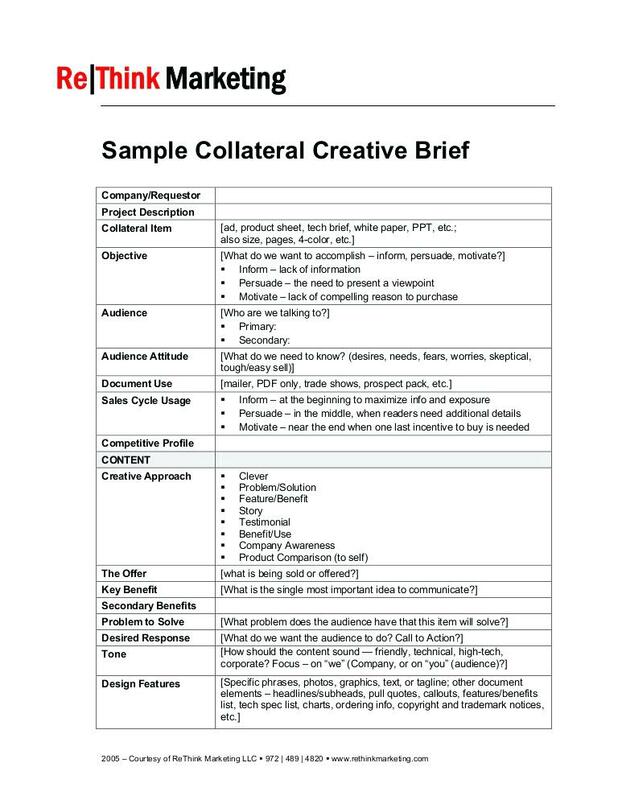 Study the graphic design brief example closely to help you set the best rates for each client.